To be a model program for high-impact practices through on-campus internships in life and health sciences fields that promote student success by engaging, retaining, and graduating IUPUI undergraduates. To inspire IUPUI undergraduate student success through high-quality, structured internship experiences that encourage career exploration, skills development, and professional growth. This is accomplished through on-campus experiences with faculty and staff in the IUPUI graduate and professional programs as well as hospitals on and near campus. The start of lifelong professional networks. Consistency, quality, and building trust is the basis of professionalism. Grow as professionals and prepare for postgraduate success. SkillsThe intern will demonstrate career-related or research-specific skills. GoalsThe intern will explain and analyze his or her career goals. IdentityThe intern will formulate an early professional identity. 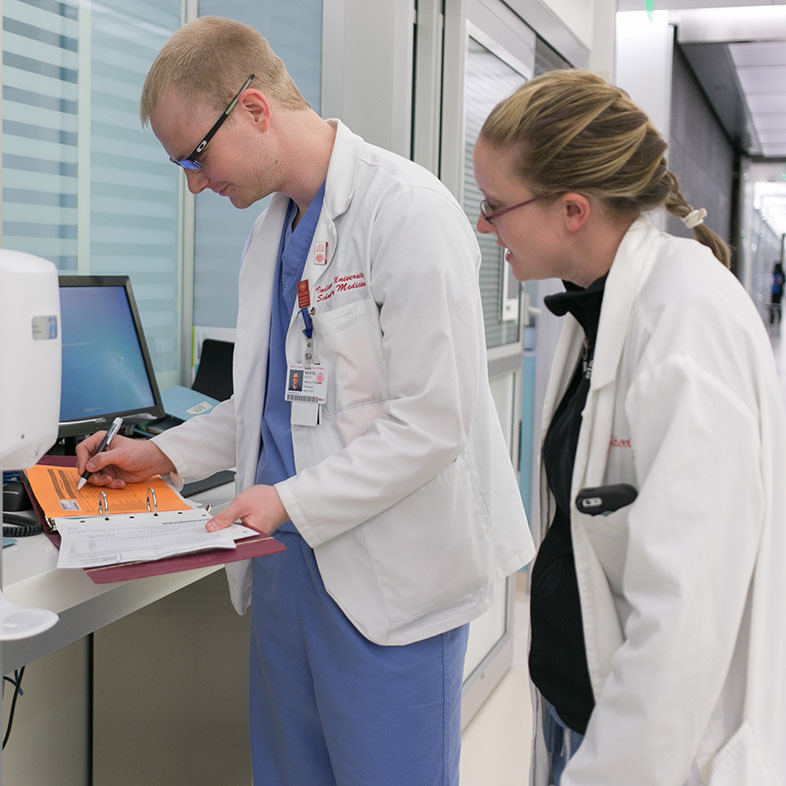 Connecting interns with teams of professionals at sites in the IUPUI graduate and professional programs as well as hospitals on and near campus. Providing professional development opportunities to facilitate intern career goal exploration, skills growth, and development of a professional identity. Establishing and maintaining best practices and expectations for intern experiences. Providing opportunities for interns to practice professional communication. It's not enough to do the work; interns need to be able to communicate what they've done and the outcomes of their work to diverse audiences. The Life-Health Sciences Internship (LHSI) Program began in January 2007 with an IUPUI Commitment to Excellence grant to Simon J. Rhodes, Ph.D., and N. Douglas Lees, Ph.D. Under the directorship of Brandi Gilbert, the first full group of 36 interns started in the 2007–08 academic year. For the 2012–13 academic year, LHSI partnered with the IUPUI Office of Student Employment and the Fall Work Initiative to offer an additional 10 internship spots. The program was expanded to 75 interns annually starting in the 2015–16 academic year with additional funding from the deans of the Schools of Science, Engineering and Technology, Health and Rehabilitation Sciences, Liberal Arts, Physical Education and Tourism Management, Social Work, Public Health, Education, Business, and University College. LHSI is an internship program for second and third year IUPUI students interested in career in health and science. 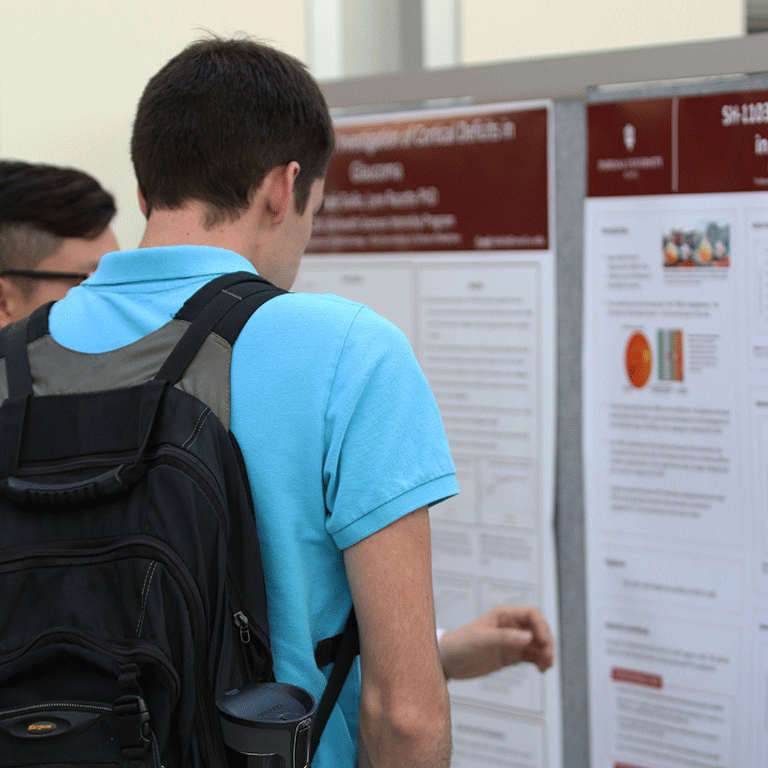 Current participants represent 40 majors across 12 schools and academic units on the IUPUI campus. LHSI is a campuswide collaboration encouraging students to connect with professionals in the health-related graduate and professional programs on campus as well as hospitals on and near campus. Read how participating in LHSI helped their future endeavors. LHSI uses the ePDP (electronic Professional Development Portfolio) extensively to help our interns articulate their internship experience with three main goals of demonstrating career-related or research-specific skills, explaining and analyzing their career goals, and formulating an early professional identity.